Satin 12 mil synthetic paper; cost effective; best in environments with stable conditions; compatible with screen, litho/ offset, digital/offset, flexo, and UV printers. MagnaMedia Micro-Iron print media may be used on a variety of printing platforms. The substrate itself is not a magnet; therefore, the same printing process can be used as with any other paper or film. MagnaMedia was developed using cutting-edge technology to coat the highest quality films with micro-iron particles. Unlike printing directly on magnets — which are typically thick, difficult to print on, and limited in size and image quality — MagnaMedia is significantly thinner, smoother and more flexible. 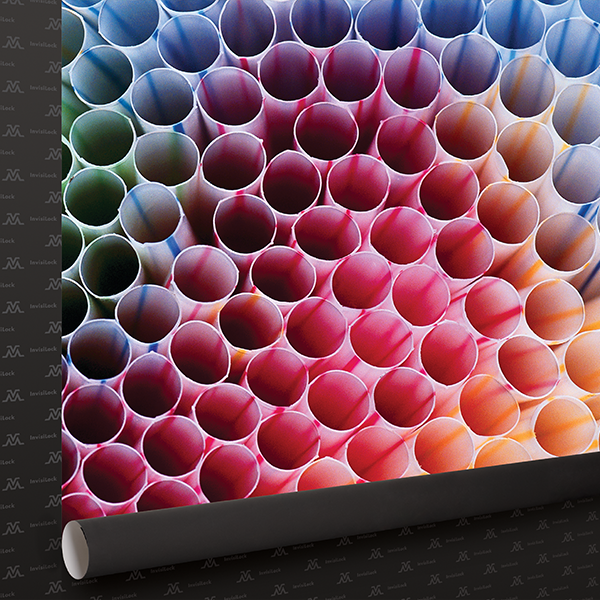 Engineered to be ultra-low profile, MagnaMedia allows for multi-layering of graphics while giving the seamless appearance of a single layer, photo-quality print. Note: Thicknesses shown are the total of the film thickness and the micro-iron coating thickness combined.